Did you watch Jamie Oliver’s ‘Sugar Rush’ last night? It certainly got the internet up in arms, and hopefully for the right reasons! Sugar seems to be the latest ‘no no’ food substance. At one stage fat was the devil, and even protein at one point, and the world is apparently unsure whether bananas are a miracle fruit or can give you cancer, the number of conflicting articles I’ve seen, it’s madness! There have been lots of documentaries and news stories recently about how bad sugar is for you, and how it can often be hidden. I’m not talking about lurking in the back of your pantry, but actually mixed in with processed foods that you would never expect to be so high in sugar. Now in some ways, this really shouldn’t be rocket science. We’ve known for centuries that sugar is bad for your teeth and can make you fat. But what I liked about Sugar Rush is that it went one step further, which is what I love about Jamie’s TV programmes like this. I’ll never forget the ‘pink goo’ chicken nuggets on one of his school dinner shows years ago. That image is burned into my memory. Last night started off quite dramatically, showing a young child being put under anaesthetic to have his teeth pulled out due to eating too much sugar. This is the biggest reason why children are put under anaesthetic in the UK and is costing the NHS £30 million each year. As Jamie said, it’s completely unnecessary and a drain on the NHS when it’s something which is completely preventable. It also looked at patients with Diabetes and how a staggering 7,000 leg/foot amputations have already taken place this year in the UK due to the disease. I must admit, I was shocked by this number. My Dad had Diabetes later in life and when I first learned that this could happen as a result of the disease, I was concerned but never really thought it would happen. Fortunately it never happened to my Dad, but the statistics show it’s a horrifying reality for a huge number of families in the UK. As Jamie said, you think of amputations usually relating to accidents or the military. In fact, there have been 300 military amputations in the UK in the past 13 years as a result military combat. Compare that to the Diabetes figures. It’s overwhelming! Just when I thought it couldn’t get any more shocking, the programme went to a part of Mexico where fizzy drinks are consumed more than water and are in fact treated as a spiritual, religious gift. 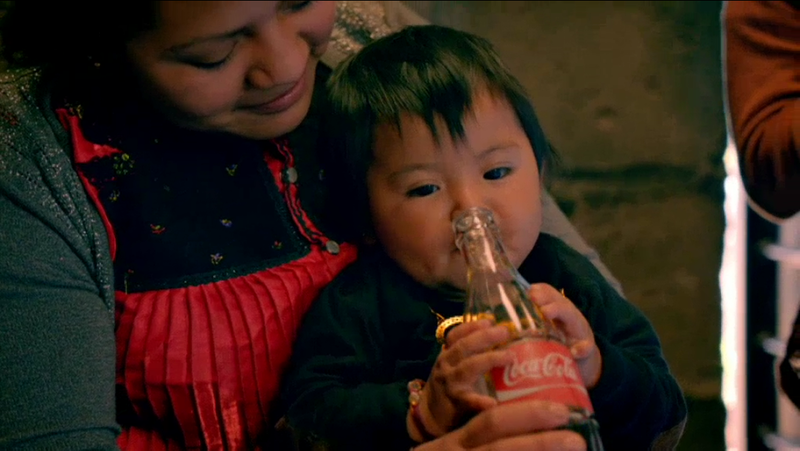 There were shots of mothers pouring Coca Cola into their babies’ little mouths. I’ve honestly never seen anything like it. And what annoys me the most is that the only reason this has happened is through marketing. The town is plastered in advertising and branding from the big fizzy drinks companies, it’s both immoral and irresponsible. The rate of Diabetes and amputations in the country is through the roof, but they’ve supposedly been able to improve the situation slightly with a fizzy drinks tax, which is pretty much what the programme was getting to. Jamie Oliver wants the British government to introduce a fizzy drinks tax, whereby a can of Coke, for example, would cost around 7p more. Whether this will go ahead and will make a difference will remain to be seen, but surely it can only be a good thing that this 7p per can will go towards helping the NHS with sugar/Diabetes related treatments, saving them millions of pounds. A tax like this could be the way forward. Let’s face it, kicking and screaming and telling parents how bad certain food types are until you’re blue in the face, doesn’t seem to be making a big difference. And I can understand why. 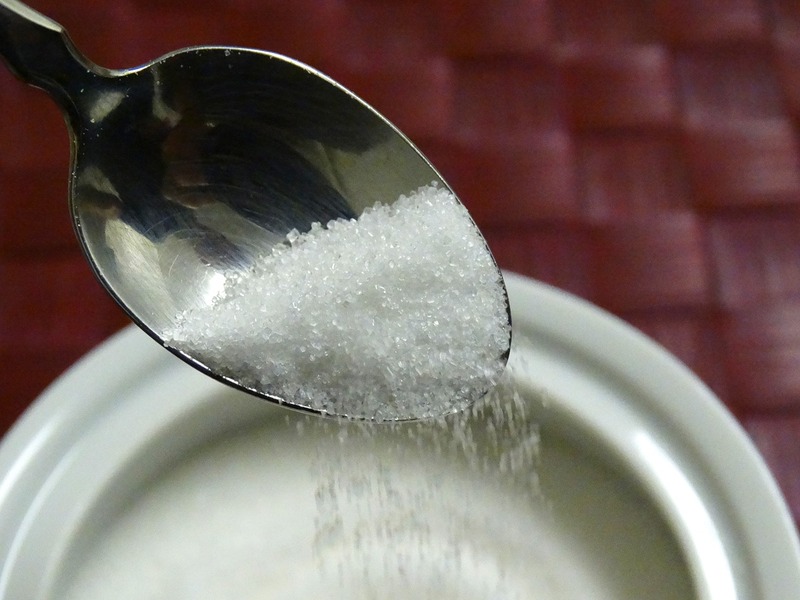 According to health guidelines, we should be consuming a maximum of 7 teaspoons of sugar a day. With the help of a dietician, Jamie looked at a typical three course meal and snacks, including a fairly healthy looking cereal with yoghurt and berries for breakfast, tinned tomato soup and bread for lunch, and a stir fry for dinner. The full day’s sugar intake in this case ended up being 36 teaspoons, well over the recommended daily amount. And I considered this to be a fairly decent day of meals. It seems the only way to really keep your sugar intake down to the recommended daily amount is to eat ‘raw’ ingredients. I don’t mean uncooked, but rather vegetables without sauce, fresh meat, and so on. It’s the jars of sauces and tinned foods that tend to add a whopping amount of sugar to your meals. But this is where lifestyle is an issue. 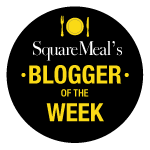 I run a food blog and I obviously care about good food, including fresh meat and vegetables. But I also have a very busy work life, and my non working hours are often taken up with the blog, so at the end of the day during the week, the last thing I feel like doing is preparing a load of vegetables and waiting for meat to cook. The temptation to just throw some pasta into a pan with a sauce is incredibly high. At the weekend it’s a different matter, when I have more time and enjoy spending my Saturdays and Sundays cooking and baking. Cost can also be an issue, which is something I’ve mentioned on here before. Rubbish foods (often packed with sugar) such as ready meals, are all too cheap and easy for some families. 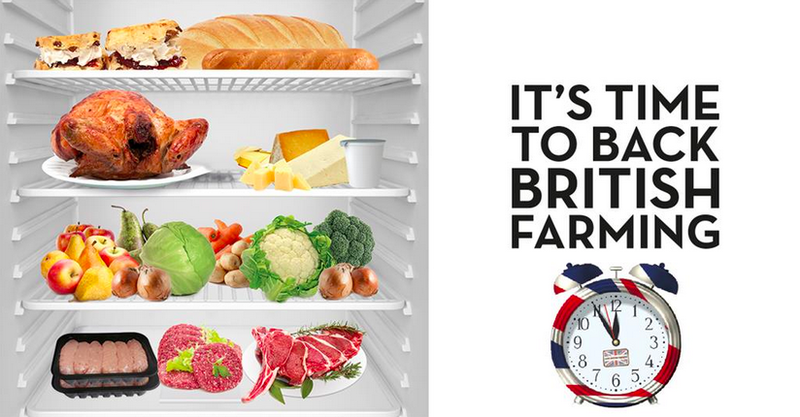 Families on low incomes are hardly going to fork out the majority of their disposable income on fresh meat and vegetables if they can buy a ready meal for a pound! So I get why Jamie Oliver had gone down the tax route, as maybe it’s one way to help the problem. In my mind, it can’t be a bad thing, so I’m going to sign his petition. If you’d also like to, you can find it online here. And if you missed the programme on Channel 4 last night, make sure to watch it on catch up. I’d love to get your thoughts on the show and the subject matter, so let me know in the comments below! I support wholeheartedly Jamie Oliver’s challenge to government to add a 20p/litre tax on soft drinks in an effort to help us reduce our daily #sugarrush. In my view, a sugar tax could work if implemented in a similar way as a”plastic bag” tax i.e. at the cashier’s till. As well, his call is helpful as he’s seen by many ordinary folks in the UK (and elsewhere) as an apolitical champion of better food education. Thanks so much for your comments Sophia, really interesting that you saw things first hand in Latin America! And for anyone else reading this, I can confirm that these iced green teas Sophia is referring to are absolutely gorgeous and I’ll be writing about them on here very soon. I’m a bit of a Coca Cola addict (full fat/sugar) which I know is awful! But these drinks have actually been a fantastic replacement and taste even better! Previous PostAugust 2015: A house, a kitten, and lots of blogging!